Posted on 15 June 2016 by Kapiti SeniorNet Inc.
Do you realize that in the near future the 2G network which runs a lot of your older phones is going to be switched off? This will give you the opportunity to upgrade to a Smartphone and SeniorNet runs classes to guide you into this new technology. Not just a phone anymore but a computer with email, an internet connection and it all fits in your hand. Enroll today for one of the classes’ iPad Basics or Android Tablet/Phones for Beginners. We have some vacancies in the following courses: Introduction to Computers starting June 15th and Email with Windows Live Mail starting June 27th. Phone Teresa (04) 298 3132 or click to see our Course Timetable on our website. Remember also that we have reduced charges for any member wishing to repeat a course. Click here to see all our course costs on our website. Remember that we also have our usual workshops running each month and no prior booking is required: How Do I…?, Q&A, iPad and Android tablet/phones. Click to see our Workshop Timetable. If you have already completed a course and need some additional help to clarify a few points we are, as always, delighted to help. Have you upgraded yet? 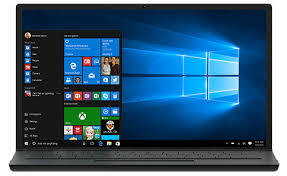 Remember after 29 July 2016, you will have to pay real money to upgrade your PC to Windows 10. If you haven’t already taken the plunge and upgraded, we STRONGLY recommend that you do so as soon as possible, well ahead of the deadline. Almost all upgrades we are aware of have been successful and we haven’t yet encountered anyone who wasn’t happy with the end result. Windows 10 is more stable, more reliable and easier to use than any of its predecessors. Please click on the name of our article “The Waiting is Over – It’s Time to Upgrade” and give the upgrade a go. If you don’t try, you’ll never know what you’ve missed and this is one free lunch which has an expiry date on it! Enrol now for our extremely popular 2 week course called Introduction to Windows 10 – a great way to get you started. We always need tutors so contact Kuini at kuini.woolcock@gmail.com and she will discuss the options with you. Join our happy group for a monthly cuppa (chockie biscuits) and a chat where new and old ideas are discussed. Amazing but after each session you learn something. Training is given by experienced senior/lead tutors and you are eased in to a class as one of the assistant tutors. This is also a great opportunity to keep up with all the latest advances in the computer world. Kapiti SeniorNet will be holding the 2016 AGM on 20th July at 1.30pm at the Learning Centre, 200 Matai Road, Raumati. Please support our sponsors: Noel Leeming, Vodafone, Westpac Bank and Grey Power. This entry was posted in General Information, Newsletters, Tutors and tagged Newsletter by Kapiti SeniorNet Inc.. Bookmark the permalink.